Benedict's Globalist "Solution" is One World Government with Totalitarian Powers. Where is the Principle of Subsidiarity? See Comments Below. Why do we have the Pope agreeing with Al Gore and Barack Obama? VATICAN CITY (Reuters) - Pope Benedict called on Tuesday for a "world political authority" to manage the global economy and for more government regulation of national economies to pull the world out of the current crisis and avoid a repeat. The pope made his call for a re-think of the way the world economy was run in a new encyclical which touched on a number of social issues but whose main connecting thread was how the current crisis has affected both rich and poor nations. Really, how hard is it to find a job? Was June's horrid numbers, in which 467,000 people lost their jobs compared to 345,000 in May, a one-time fluke? Or does it mean that all those Wall Street economists who believe the economic recovery is starting are dead wrong? Not to scare you, but the situation is actually worse than it seems. Over the years, the government has changed the way it counts the unemployed. An example of this is the criticized Birth-Death Model which was added in 2000. The model is designed to account for the birth and death of businesses and the resultant lag in survey data. Unfortunately, the model doesn't work that well during economic contractions (like we have now) and consistently overstates the number of jobs being created each month. Bishop Williamson writes of "Restructuring in State, Economy, and Church"
Tomorrow, or the day after, there is hardly a box outside of which it will not be necessary to think. In Church and world, the mentalities and structures of so-called “Western civilization” are collapsing around our ears. Still the mass of Western souls are preferring to slumber on in their audio-visual dream, but reality is closing in all the time – they may awake not before they are shackled into the New World Order. July 3, 2009(Special)---President Obama has no legal authority either from the United Nations or the U.S. Congress under the War Powers Resolution(WPR) to escalate the war in Afghanistan, a distinguished professor of international law says. 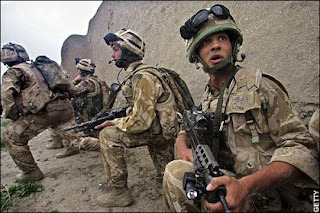 “President Obama’s surge of 21,000 troops now engaged in combat in Afghanistan comes on top of the 60,000 we already had there,” says Francis Boyle, professor of international law at the University of Illinois College of Law at Champaign.